If you're looking for a satisfying seafood meal that's quick and simple to make, look no further than mussels. When combined with a garlic white wine sauce, mussels can be served either with a crusty bread or over pasta. Most people don't realize that mussels only need a few minutes of cooking to prepare, so whip up some tasty mollusks tonight. 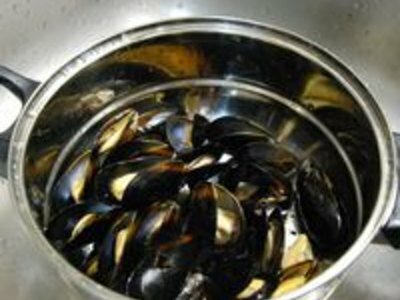 Place the mussels in a large colander or strainer in the sink. Rinse the mussels well, taking care to remove any hairy growths on the mussels, sand and other dirt. You may find it necessary to scrub mussels with a stiff brush to remove debris. Throw out any mussels that are already opened that will not close, as uncooked mussels that stay open before being cooked are a sign of being bad. Mussels are best for cooking still alive, or frozen while still alive. Mince the garlic for your mussels, and chop the onion. Fresh garlic will absolutely give the best results, but minced garlic out of a jar will also work well. Place both in a large pan with about 1 tbsp. of butter over medium-high heat. 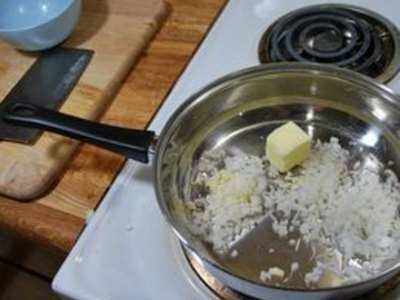 Saute until the onion is mostly translucent, stirring often. Add a few dashes cayenne pepper, or a pinch of crushed red pepper flakes. 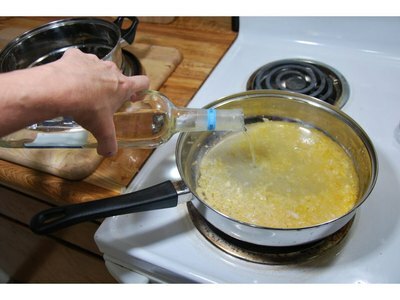 Add wine to the pan, and stir well. Chardonnay is a good wine to use for this recipe, as the flavors go well together. While a good vintage wine will certainly give excellent results, any decent white, excluding sweeter wines like Riesling, will work just fine. Let the wine mixture heat through for a few minutes to properly incorporate the flavors. 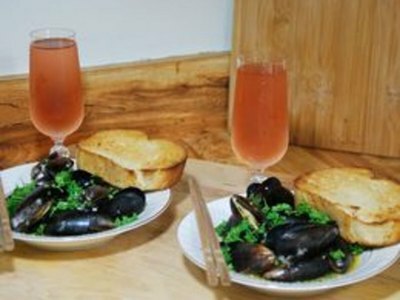 Add mussels to the garlic wine sauce, stir mussels to coat well and cover to let mussels steam for about five minutes. Uncover, and stir mussels again. Repeat this process until the vast majority of your mussels are open. Any cooked mussels that do not open are bad, so discard those. You will be cooking mussels for about 10 to 15 minutes total. Place mussels -- shell and all -- into bowls, or over a bed of pasta, to serve. 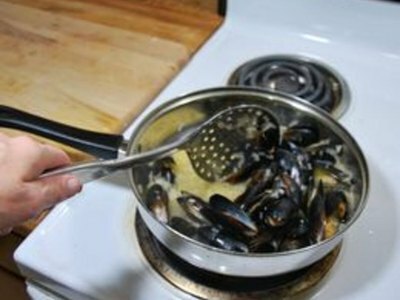 Ladle several spoonfuls of garlic wine sauce over mussels and pasta. Garnish mussels with chopped fresh parsley. You can use either appetizer forks or just your fingers to get the mussel meat loose from shells, and a good crusty bread will ensure you don't miss a drop of the garlic wine sauce.